I, and many others, have written so much about the powerfully transformative experiences we are having and how the intensities for many is increasing as we near closure of 2012. I feel it, experience it, hear it from friends, from my clients, and from fellow healers and light workers who are constantly supporting clients with amped up challenges. It’s happening. The shifts are now and we always have a choice in how to embrace them. Having just spent time with one of the beautiful people that will be joining us in Bimini for 12/21/12, again the messages were reiterated through the mirror of her sharing. The new is already here. A new reality is alive and the experiences are that of getting all of your pieces on board fully and walking through the doorways in wholeness. Some will choose to. Some will choose not to. And some will choose to be in other forms in order to assist, which may include leaving the Earth plane altogether. All of this is in divine order and perfection. This year has been huge in many ways for everyone. And these last few months have taken all of the year and upped it to the 10th degree in terms of experiences. It can be both heavy and light all at once. The ebbs and flows exist simultaneously. There are some already experiencing the magick, some seeing the potential magick and continuing to trust the process, and some just opening their eyes, and some yet to. All are honored and respected for the choice to be here at this pivotal time, as each is integral to the journey. For myself, the last few months have been very interesting and telling. I continue to follow my intuitive guidance with each choice I make and being led down new roads. I’ve watched even physical transformations take place in how I am morphing in look and just recently literally dropped several pounds, which for someone small already and not trying, is indicative of old energy releasing. Before, I was needing more grounding to balance out and now, having been integrating for a while, I’ve intuitively been led to stay as light and clear as possible in general, for the upcoming trip I am facilitating, and the reality I am creating. My powerful Andara friends have been assisting daily, as have many of my otherworldly friends I’m grateful for. Any remnants of old are being faced and released on all levels and I am not entertaining any of it except to integrate it when it shows up. It becomes clear where the challenging areas are, by which things move out quicker than others and which pattern round again to ensure I heal and release them. It’s all in perfection, nonetheless. If you can keep mindful and present, and catch the ways you hide from yourself, this will be of benefit. And I feel that what I heart-fully choose to be personally responsible for in my own life not only gifts me, but gifts the collective. We are each in process of rebirth in our own ways. Like a caterpillar to butterfly or a phoenix from the ashes. Sometimes this means a symbolic death and in some cases, transformation can mean a literal physical death, which can present heavier challenges to understand right now alongside all the rest you may be going through. In either case, a cycling of death and rebirth, as we move from old to new is happening, relative to each. This is a major time of releasing, mourning, and transmutation. In the darkness, yes the light undeniably coexists. So many souls are choosing to transition during this time, both human and animal. Just in the last two days, two of my clients I was assisting, back-to-back, were going through this – the physical loss of a dear one in their lives. It is an intense time and souls are choosing where to be as things transform here on Earth. Our minds can grasp why this may be, but our emotional attachments can be challenged to wrap around it. It is when we can feel with the Universal heart that the healing integrates. Being human definitely carries with it the very depth and spectrum of feelings and it can be hard to remember the source of all that you are when experiencing something painful. You are not alone in feeling the depth of the changes taking place on a collective level right now. We all have been going through challenges and experienced loss and significant transformation. And each of you is learning to courageously face and embrace what is coming through and I honor you for that. When the transformations take form in a physical death, the souls choosing this experience are freed to move on to more expansive journeys. But this leaves friends and family trying to piece together torn hearts. Being human can be such a beautiful and joyful experience, yet simultaneously so very painful. It is this full spectrum of experience we are capable of feeling that can either be a curse or a blessing, hinging on a simple change of perspective. While the mind and spirit find more ease in understanding why things happen, the old ways of our emotions have not the luxury of such logic. Our hearts are transforming into higher heart experiences that can feel unconditionally. Yet, human emotions take time to make sense of it all and should be given the honor of their natural unfolding to do so, free of judgment that binds us to our suffering. And judge not judgment, as it is an opportunity for allowance. We have the power to choose our way of experiencing and in taking ownership of our suffering, we are led to peace and joy. Human “Being” is a state of experience that is ever complex with duality, but was also meant to be a gift of harmonious union between physical and spiritual, which allows us the ability to experience and create in amazing ways. We as humans are gifted the opportunity of unlimited expansiveness and by design are extremely sophisticated, refined, and highly developed consciousness potentials waiting to blossom. And this IS your time to blossom. Yet, for a long time we have chosen only to live a fraction of that potential, unaware of what lies just on the other side of that wall we either hid behind or straddled. What is the fear? Perhaps it is a fear of the promise of joy and what that could mean. This fear is a powerful thing that when chosen, surrenders your power to choose, as it can take over your life like a dis-ease. We fear our own humanness, the very thing that is so beautifully powerful, and what it would do if unleashed. Fear creates the separation and hinders your ability to see other perspectives that could instantly disintegrate it. Our true hearts will never steer us wrong and reality can transform miraculously if we live in, and choose from, them always. We then come to understand the limitless choices of experience and continuity of life, beyond duality that lives with us from this state of being. From our fragmented perspective, we fear death and endings as permanent and final. Like a door brutally slammed on our hearts, just as we were learning to open them. The secret here is that while a closed door might, in the realm of conditioned thought, mean the end to something and a desire to give up and never try again, the opposite is also true and might simply mean that a circle of life has completed a revolution and is about to pick up momentum for the next more expansive spiral of experience. The choice is yours. Every pain has both the ability to sour us for life, or to sweeten the journey. The deeper we allow ourselves to explore the realms of watery abyss, the more beautifully we learn to swim with the grace and flow of our cetacean friends, through the turning tides of life. Every coin has two sides and these two sides are part of the same coin. Yin and Yang are complete opposites, yet are integral to Oneness. One creates the possibility for the other and therefore, is not a separate experience. Together, they are grace in perfection; a feeling without words that is the expansive totality of consciousness “being” the essence of unconditional love. Therefore, to know your pain is to know your joy. And in order to truly know the depths of joy, sometimes you will choose to walk in the shoes of pain, until the experience becomes a perfect fusion. The beauty is that the length of each season is determined solely by the perspective you embrace, until the season integrates into one cycle. I have experienced the greatest loss in my life. That of my twin soul, Nestor, whom I’ve written about before. And in losing her, I actually truly discovered her and myself, and she is with me more now than she ever was. It was an instance of total surrender and vulnerability and like experiencing all stages of birth and death at the same time; coming to know the perfection and beauty of eternal creation and love. We don’t have to say goodbye when we come to embrace how expansive we really are and can see beyond one single focus trapped in time. This is part of the new reality we are creating. Where magick, synchronicity, synergy, connection, and heart knowing is a constant experience. This shift helps us to realize that the timeless love we feel and share is perpetuated in the life force energy that runs through every experience we have, every encounter, and in everything tangible and intangible. When we see through different eyes, everything changes. And the gateways approaching can only be seen with the heart. These are the different eyes I speak of. Loss is always challenging when someone is in your heart so deeply. Whether that means a physical death or simply dear people leaving your life, as you each move on to new experiences that benefit both. Yet, in time, we can grow from the experiences and create new processes of how to move with greater ease and grace through life by embracing our new perspectives. When we try to hold on to something or someone, all we do is hurt ourselves and stop the promise of new seeds to blossom. Our loved ones do not want us to live in darkness. They leave in order to assist our moving into our greatness and will be there every step of the way. That is the way of the collective heart. Everything for the benefit of the greatest good. If you have been faced with loss of any kind, please do take gentle nurturing time to honor the natural mourning and healing, as that is important. The last memory may never leave altogether, but the way in which we view/feel it CAN. It’s like that moment a butterfly emerges from the cocoon, discovering its chrysalis form has taken flight. It does not mourn the loss of its caterpillar self, but embraces the joy of this new and expansive creation it has become. Not a death; merely a transformation. A simple change of perspective. My heart goes out to each and everyone of you choosing to be here right now and so bravely walking through the depths of change in your life. Releasing that which no longer serves you will benefit you greatly. Nurturing yourself and allowing the mourning process of all that is transitioning in your life to move through you with grace and honor will bring you peace. Surround yourself with support if you are feeling challenged. Keep trusting and believing despite how dark things get. Love with all of your heart. Transmutation of your very existence is at hand. This is not little stuff. You are not alone. We are in this together. It is not the body, nor the personality that is the true self. The Holiday fun and end of 2012 excitement continues. Unique and supportive gifts is where things are at for the 2012 holiday season. It’s all about ways to consciously create new realities. Some of you may already have noticed, and taken advantage of, the lowered prices on our high-end crystal pendants for the holiday. Regular price $111 and now ONLY $99. That’s a $12 savings, eligible for the 12% off sale, and will be the standard new price even after the sale ends on 12/12/12. Woo! A lot of 12’s in there and that means potent activations. 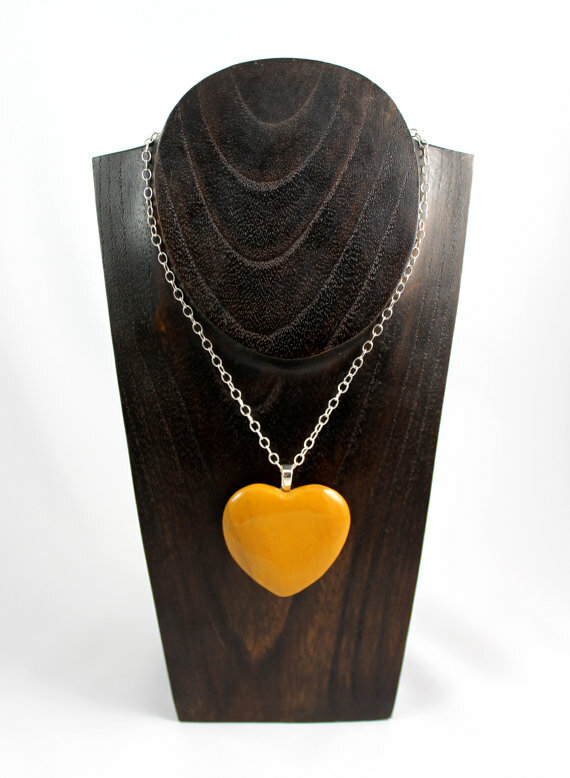 If you have had your eye on one, or some of the new pieces have called your heart, don’t miss out! We will have some more to add soon. There are currently 7 pendants available (featured below) at this awesome new price that would make cherished and meaningful gifts to self and others. Read all about their individual energies, see more photos of their unique beauty, and bring one into heart and home here: Joyful Earth Crystals. I know I’ve had my eye on one! Crystal Love and Magick to you! 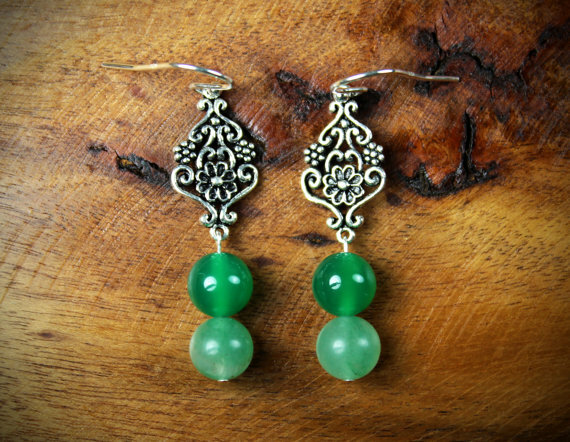 Spiritual Skin Holiday Gift Ideas & 20% Off Sacred Designs – A New Paradigm of You is Here! As we edge closer to the completion of 2012, thoughts turn to the seeds we are each planting to create the evolutionary leaps of transformation we desire, both personally and collectively. A new paradigm of experience knocks at the door for our embracing. And what lies beyond the threshold is a new realm of conscious creation. I’ve been so proud of the courageous embracing these beautiful souls have gone through and LOVE the stories they share of how their lives have changed in powerful ways for the better after getting their sacred tattoos. SO BEAUTIFUL! I got two very powerful portal/gateway beacon tattoos of my own this year and had some out-of-this-world experiences take place within and without, including even in tandem with direct Earth shifts at the time of their birthing. And I’ve continued to have amazing experiences with direct channeling and manifestations linked with the integration of their energies with mine. 2012 has really been an awakening and transmuting for many and I’ve been able to directly observe how the tattoo scene has evolved back into the sacred art form it originated as. I also have had direct experience of hearing how people’s ideas and judgments have been transformed. Big stuff and I LOVE this! Everything is energy and the energy is what comes through intent-fully chosen tattoos. They simply embody magick. Not separate, not defining, and not altering of who you are at the core, but are an extension of your energy expressed through you so that others can feel who you are and see with new eyes a whole picture that exists. They also help to activate and empower more of who you are at the core with the power of their intentful symbolism. This has the ability to assist in DNA shifting/aligning and accessing portal experiences, which in turn collectively has healing benefits and openings – VERY MUCH aligned with the December Gateways we are approaching and what 2012 has been focused on preparing us for. As our inner and outer worlds continue to rapidly change, more and more people are being drawn into the world of body art, especially with the shift in perspective on how tattoos can actually help support a new reality of experience in your life. Sacred tattoos that are consciously and intuitively chosen in a way that most supports the intentions, needs and empowered healing you desire are increasingly becoming the new paradigm of tattoos that mirrors the now. Several have contacted me about new empowering tattoos they are wanting, as we near the end of 2012. These to mirror their huge transformations and courageous leaps they are making, and to assist with the new they are seeding. With the approach of 12/12/12 I keep feeling called to be of greater service in the ways I have to give and so I am offering a 20% discount ($25 off) on my sacred tattoo design fees for anyone who would like an empowering spiritual tattoo to embody your intents, as you walk through the last 2012 gateways of the year. You can take advantage of this special until 12/12/12. Each design is a custom creation that manifests from the inspiration received through open and vulnerable energetic sharing between myself and my clients. The greater the openness, the greater the flow between us to co-create the mirroring design of your soul. I will be away facilitating a trip in Bimini from 12/15 until 12/22, so I will not be able to receive requests during that time, having no email or phone access. So if you would like to have the design created before then, keep this in mind. Otherwise, you can utilize your design services upon my return. A personalized sacred tattoo design is a powerful way to honor yourself and can also be a unique and meaningful gift to someone in your life that is embarking on this journey of sacred body art. Gift certificates available. And for the tattoo aficionado in your life, or if you are interested in a new paradigm of tattoos that mirrors the collective shifts, Spiritual Skin may be the perfect gift of empowerment. Many who have been on the path of getting their first tattoo, or wanting to bring more meaning, spirituality, and power into their next tattoo, have read this book. They shared how they found it to be supportive in understanding how much more a tattoo is than they thought and found it helpful to begin their process of an intent-fully designed tattoo. Wishing everyone continued support with all of the changes you are making and peace, love, and grace to assist the process beautifully. If you have any questions, would like to purchase a certificate, or would like to begin your sacred tattoo journey you can email me at tania@taniamarie.com. This is just a short post of gratitude and connection to follow up on my earlier post that shared the energies of today. I hope that each of you have experienced an empowering and sacred communion on this Full Moon. I, myself, am feeling increasingly connected to the collective, as I return from my time in ritual. I had a most beautiful sacred ceremony gazing at the Full Moon Lunar Eclipse this evening as I released, seeded, and deepened my commitments and sacred responsibilities. I did this in tandem with many others at a specific time that had been chosen. As I stepped outside I found that it had rained a bit and the sky was completely cloud covered. The Moon had been hidden, but when I emerged to greet her, the clouds started to reveal her beauty to me. Then, after my initial connecting, covered her once again. It was a beautiful acknowledgment in divine timing. Accompanied by my giant cosmic blue Andara Mother God channeling crystal, I was guided to have join, and an enchanting cricket friend who came to assist (staying the entire time a couple of inches from my foot in silence) I’d say it was a magickal and sacred experience. Crickets are good luck symbols, protective icons, and also representations of rebirth. What culminated was an anchoring of what is innately seeded inside and as tears of love came forth, my heart was one with all. I am grateful in more ways than I can share for what unfolded and what I feel to come. Magickal blessings to each of you. Yes, another Full Moon we have arrived at and it is the 2nd to last of the year, before December 28th’s Full Moon puts closure to 2012. 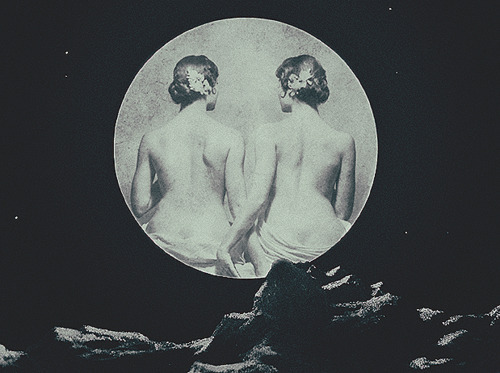 Full Moons are significant times to get connected and be conscious of the subtle messages you receive. It can also be a heightened time of emotions, healing, and passion, helping to bright to light emotional wounds and how best you can express, follow, and release them. This is a perfect time to do a sacred ritual of intents, wishes, healing, and letting go of self-sabotaging behaviors, old habits and limiting beliefs that you then release (perhaps literally writing down and burning) that you desire help in transmuting. I know I’ll be creating a special little ceremony myself. Hope you will join, as this is a time for the personal and collective to be synchronized and anchored in responsibly, more than ever. The Lunar Eclipse can bring added sensitivity especially related to the collective consciousness. This Full Moon is supportive for creating shifts in consciousness, using your higher mind and tapping into your higher self. The deepest layers of the psyche are giving up their treasures now. What activities earth you the most? How much light shines out will depend on each of us. a new story of responsibility and cooperation. It is time to open our hearts to our heart’s desire! It will lead us to our destiny. stay open to other realities and other ways of knowing, such as the feminine, empathic, instinctual knowledge that our society has tried to ignore and make irrelevant. a return to that which we are that does not change. Something that was just shy of your awareness will reveal itself. It is looking for you to become aware and then to transform it rather than distracting yourself away from it. Wishing everyone a powerfully transformative and magickal Full Moon! Choosing to consciously create new experiences and walking through new doorways to profound change is courageous stuff that you all should be so proud of yourselves to be facing and taking on. Yes, we are all going through the shifting frequencies in individually relative ways and the bottom line is that big change is happening and it can be challenging at times. Sometimes you feel excited and like nothing can get you down or stop you. And other times it feels you carry the weight of the world, feel overly sensitive and emotional, or even hopeless. These are the ebbs and flows that are naturally occurring while we re-calibrate, re-evaluate, re-design, release, and rebirth. Oh the growing pains of cycling evolution! Good stuff, but I do understand it can feel a bit crazy at times. Moving into greater responsibility that takes into account synchronized personal and collective service is big stuff! There are several things that help me during these times including keeping grounded and balanced, being mindful and present, in-taking, and flowing with, what my body needs, being gentle with myself, releasing that which no longer serves me, etc. 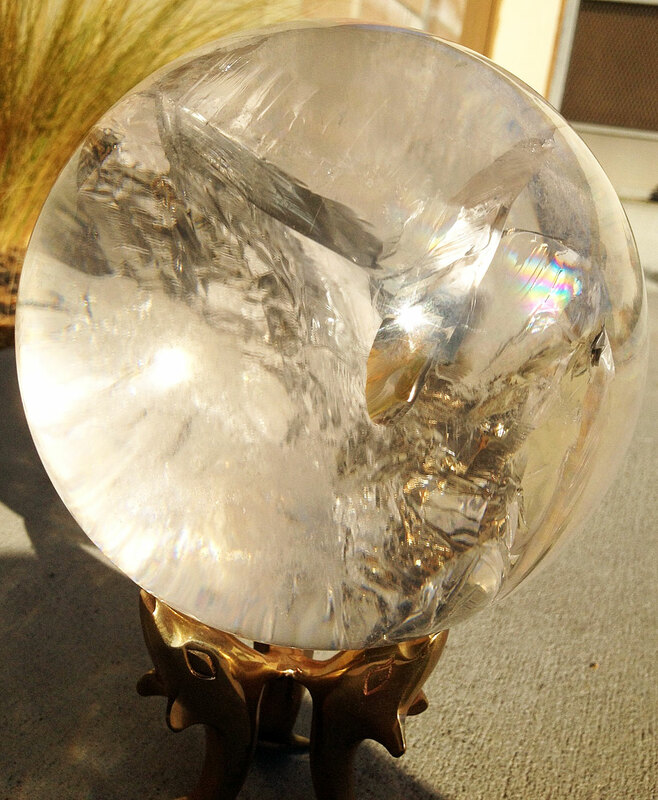 One of the tools that I have found extremely supportive in making big leaps is my crystal friends. I’ve mentioned before that these crystalline beings are connected with all the natural Earth and collective shifts and are attuned to supporting the changes needed. I’ve also shared how much they have helped in my own life and how when things shift, I am drawn to particular crystal energy to assist with the thing I am needing help with most at that time. This is also why at some point some of the crystals I have had with me for years will and have been ready to move on. As I put to closure certain integrative healing in my life, or make those leaps and move to a new level of my experience, it is then time for some to journey forward. In this way they are able to assist others and keep the flow of service moving. I do not stand in their way, even though it is very sad to see a friend go. I thank them and know we will always be connected and lovingly set them free when they/we are ready. I do not own them, as they are free-willed spirits just as I am. I am grateful for the time they choose to be with me and bless them on their new adventures. And by releasing them, I allow new friends to enter my experience to mirror my current needs and evolution. I discovered a while back that this is part of my role with crystals, not just in crystal healing and working with them myself, but to be the bridge to their new keepers. If you have felt drawn to crystals or are at a pivotal point in your journey, you may find as others do, that crystals start to call to you. It is important to look and listen with your heart, as the essence they embody is what is most supportive to your needs. It isn’t necessarily the ones that visually talk to you, although that may be the attention grabber at first especially when you are first learning to feel and understand them (they know just how to get your attention!). Once you delve deeper you will find each of their unique beauties revealed. Both of the crystal below come from my personal collection and are some of my most cherished and amazing crystals. I was not surprised, even though it is bittersweet to be saying goodbye, as some major shifts have been taking place for me at the same time others are experiencing the same in their own ways. So it seems synchronized that my time with them has ended and someone else is more in need of what they offer. All of the other crystals I have shared in previous posts have moved on to new friends and I have been so happy to support those loving connections. Today I have a new friend to share along with one I just did a couple of days ago. For now, they are the only ones actively seeking a new journey. 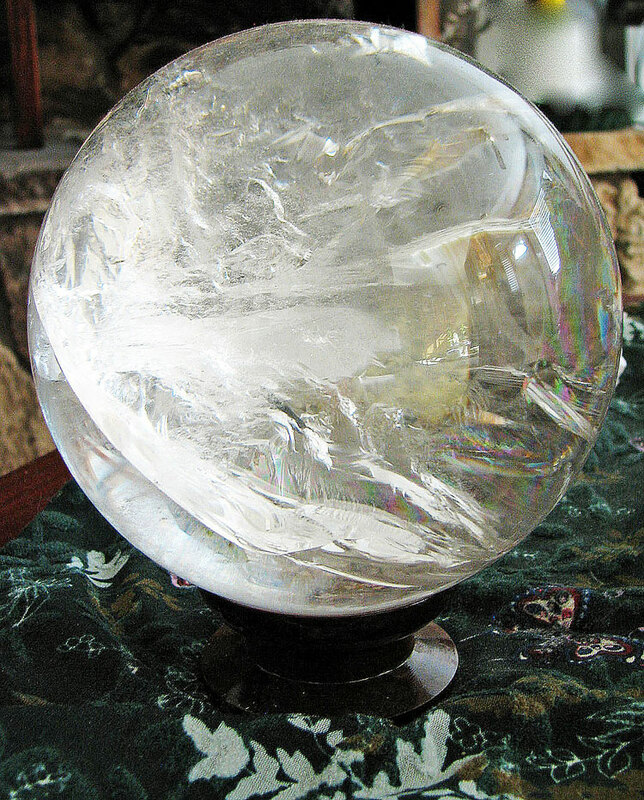 Time and shifts will tell if any others will be leaving or what new crystals I procure that want my assistance to a new keeper. You can bring either of these friends into heart and home with the special 12% off sale – good until 12/12/12. For the right person, these pieces can be done in a 2 payment plan if needed. The prices below reflect their regular price (which is below cost, as I honor the prices they share) and I will apply the 12% discount shown, when you purchase. These two crystals are not featured in the shop. If you are interested in either of them, simply contact me at tania@taniamarie.com. In her natural state she is pristine in energetic purity and beauty with delicate little prismatic rainbows scattered here and there. 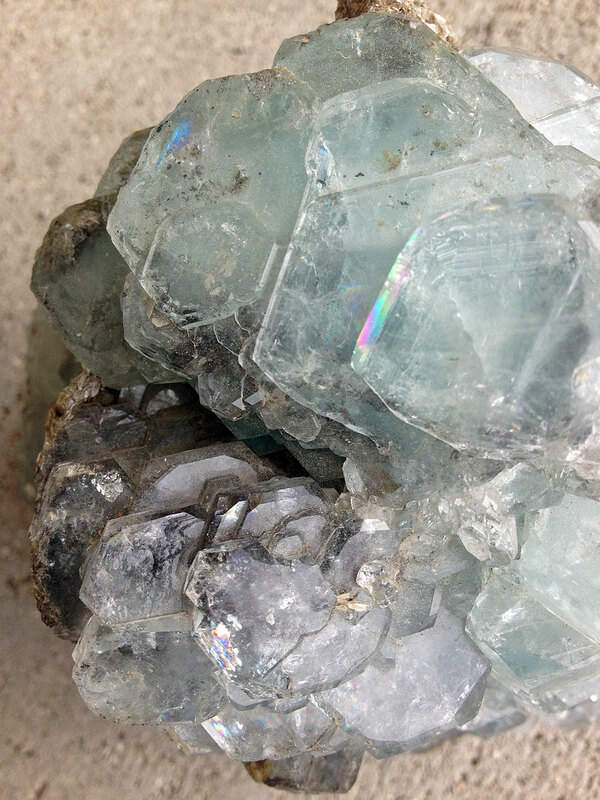 Layers of lustrous, short-prismatic to tabular crystal clusters are layered in a matrix community of iced aqua that create a mountain alter of watery energy. Compact and potent, her clustered layers are firmly grounded on large tabular crystals to root her energy. You will also find sparkly Marcasite – a polymorph of pyrite which means that it has the same chemistry as pyrite but a different structure and different symmetry and crystal shapes – enmeshed between the Aquamarine clusters and layers. 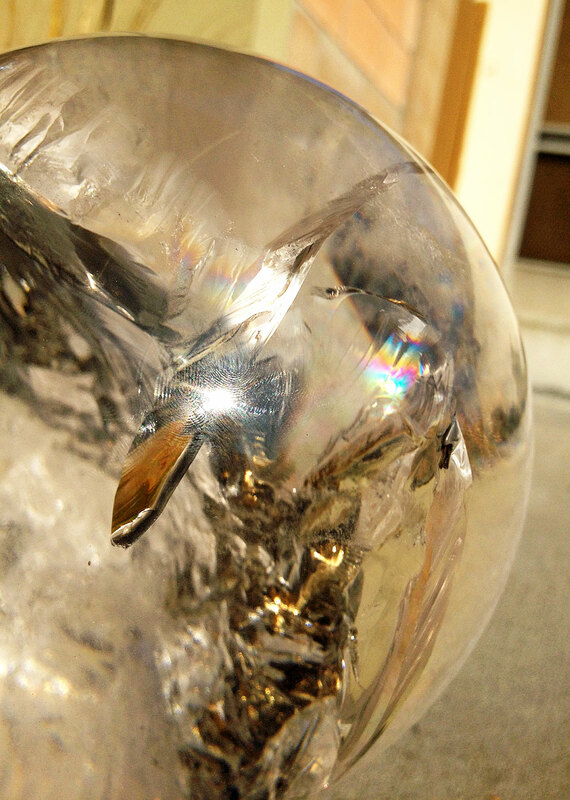 Its silvery luster is enchanting alongside the iced aqua brilliance and adds to her energy she emanates. I can’t say enough about her and as always, photos never do justice to these beautiful beings. Marcasite Properties: comes from an Arabic word, markaschatsa, meaning ‘firestone’. 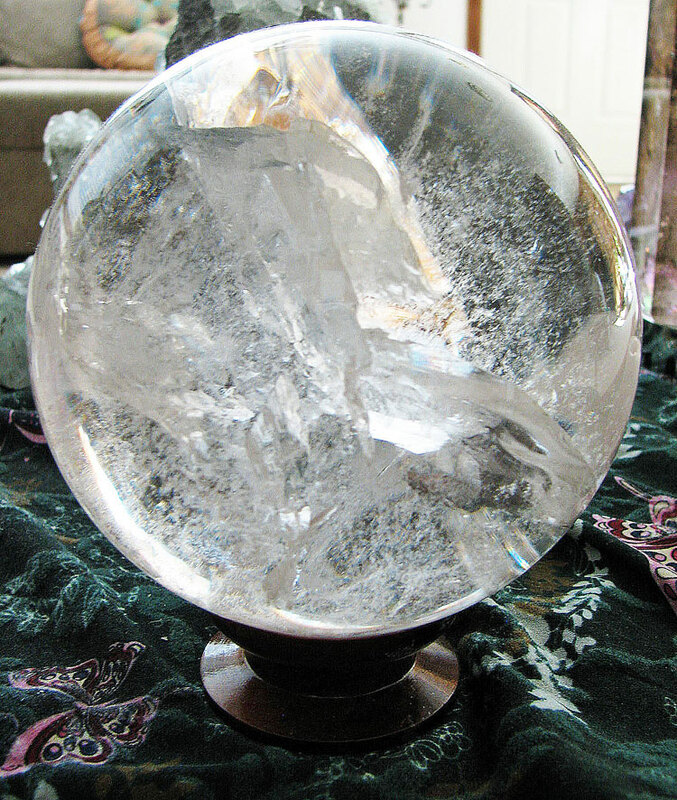 It expands metaphysical abilities, especially that of spirit awareness and clairvoyance, provides a psychic shield that grounds, assists house-clearing or entity removal, provides a detached perspective when looking within for insights, helps you to make necessary adjustments, brings clarity for those feeling scattered or confused, increases willpower and courage, encourages you to shine, and helps foster a sense of true abundance. 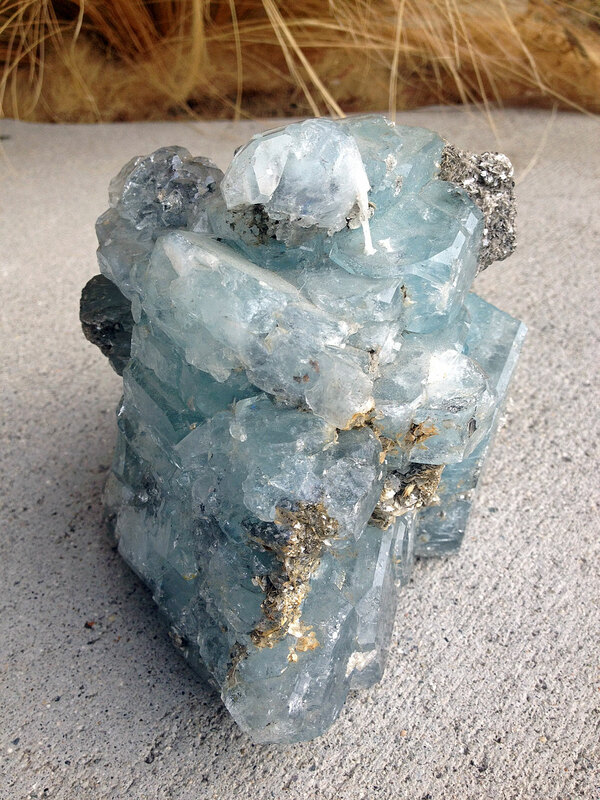 Aquamarine Properties: a stone of courage and serenity and a powerful stone for the heart chakra, the thymus (higher heart) or throat chakra and will enhance communication with the Goddess while improving overall spiritual communication. Another benefit of using this crystal, is that it aids you to let go of emotional issues from your past that you have been holding on to. Within the thymus chakra (or higher heart) this energy is very powerful. It emits flowing, soothing, compassionate energy. This lovely and gentle gem evokes the sea in both its name and its color. The meaning of this crystal’s name derives from the Latin, meaning ‘water of the sea’. The ancients saw this as a stone of courage and felt that carrying it would help them return safe and prosperous from all sea voyages. It is held in quite high regard in the East as the Stone of the Seer and Mystic, a gemstone that imparts purity to the wearer, as well as encouraging the gentle nature and personality in the wearer. It is a symbol of peace. 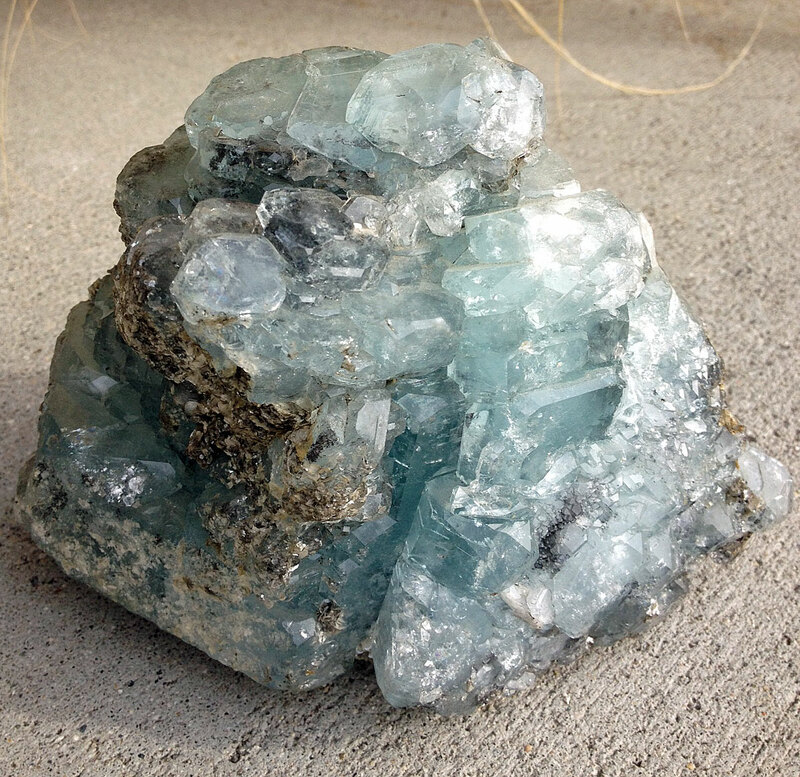 Aquamarine is said to be the stone of the sea goddesses of past times, due to its association with the sea and water. 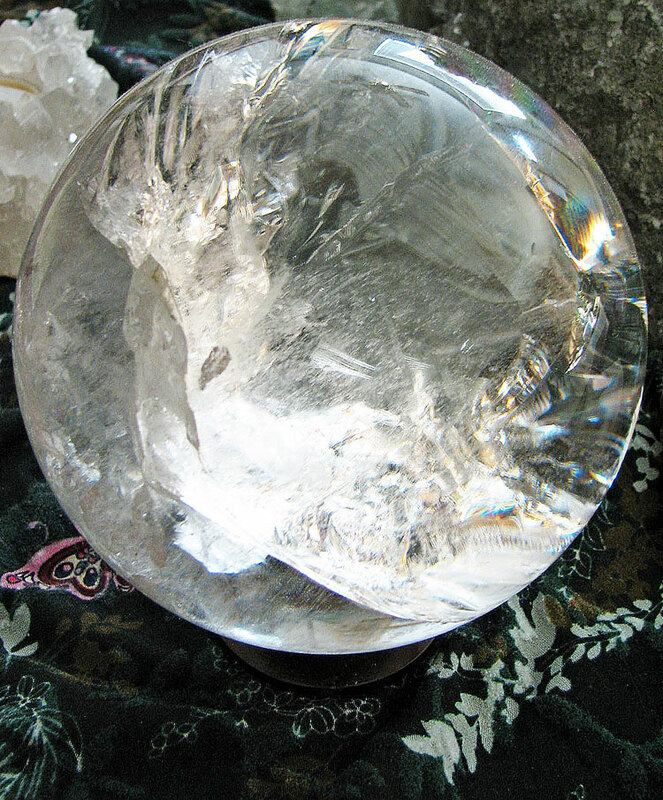 In magic, this glorious stone is worn or carried about the body to enhance the use of psychic powers. It helps reduce our conscious mind’s hold on the psychic mind and allows our ever present psychic impulses to be heard and to enter into our more conscious mind. It is good for meditation as it brings calmness, peace and inspiration with love. It also strengthens personal power and the aura. 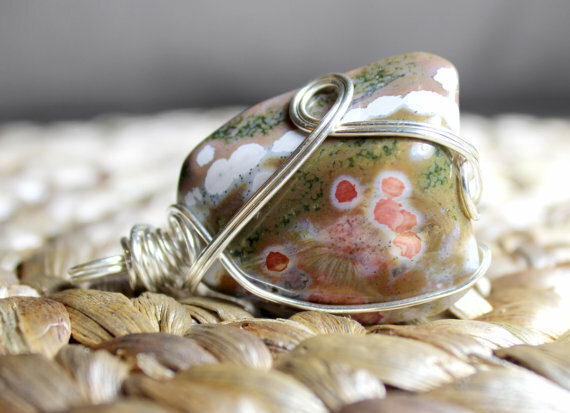 The stone is considered an “all purpose” healing stone as it treats spiritual and psychological disturbances as well as physiological disorders and disease. In addition, it increases one’s access to courage. It promotes motivation and comforts in times of intense physical and emotional release, while supporting one through the process. The stone aids a life of service, shields and protects, reminds us of love and caring through times of change and in one’s life and path and purpose. It aids in promoting spiritual and psychic awareness, brings about core soul repair and healing, aids soul retrieval, and heals deeply at all levels. It is used spiritually to bring purification to one’s entire being, as it allows the inner self to better pursue one’s Highest Ideals, keeping attachments to the mundane world in perspective. 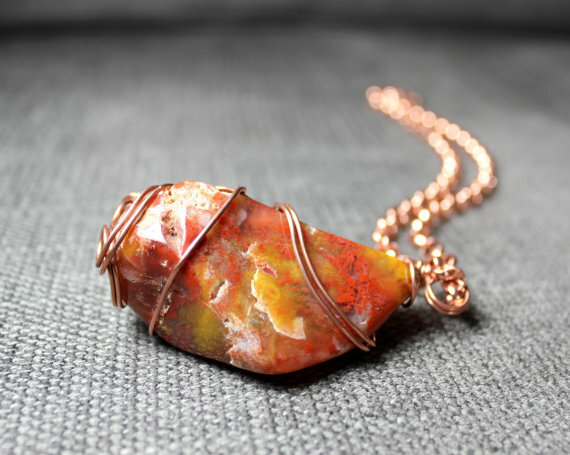 In addition to its remedial values, it is an excellent stone with which to make changes in your life, holding more true to your inner, spiritual self, and helping yourself remain calm and purified of your own self-polluting behavioral patterns. 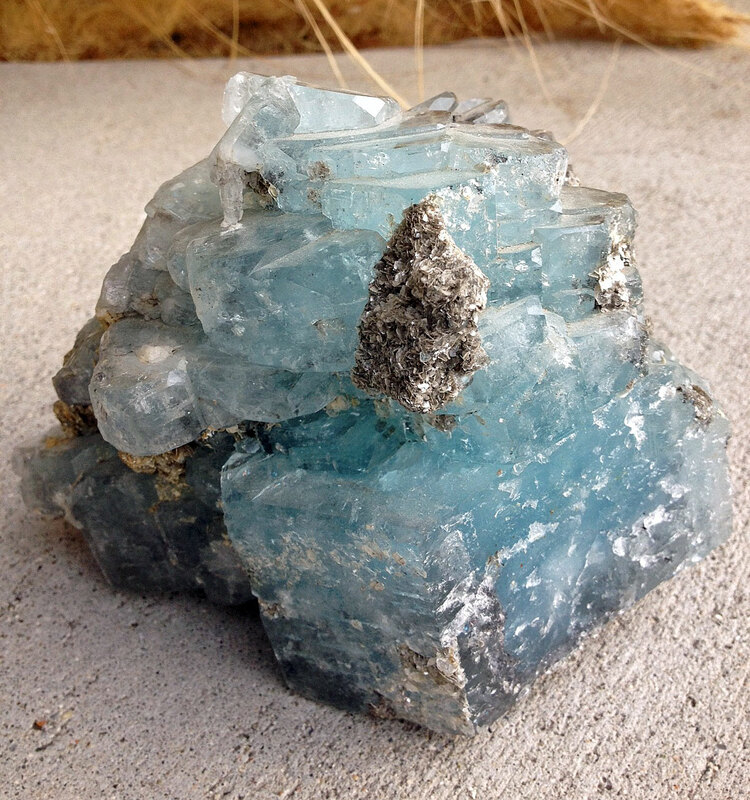 Aquamarine is a symbol of true friendship, equity, courage, judiciousness and eloquence. 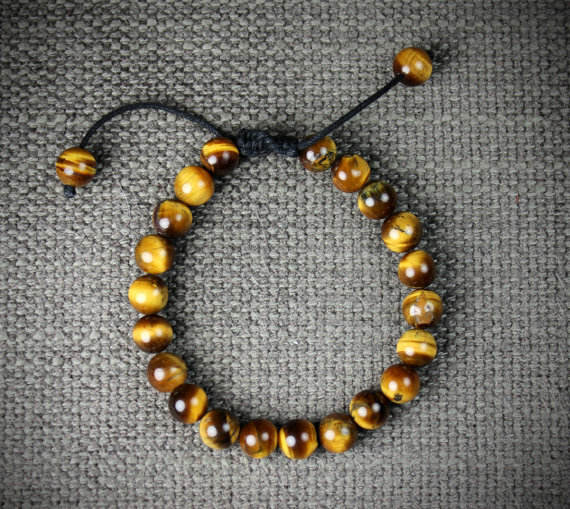 It helps clairvoyants, harmonizes soul and body and is an amulet of happy family life. In Europe of The Middle Ages, the newly-weds exchanged Aquamarine rings. It is one of the most magical stones that can expose even astral deceits. 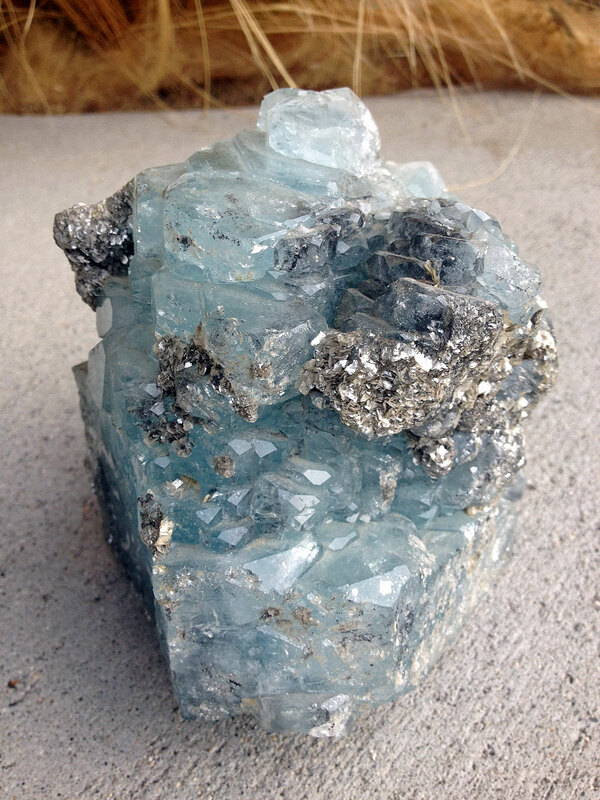 Aquamarine acts on its wearer’s mood, as a peaceful-seascape, calming the mind. 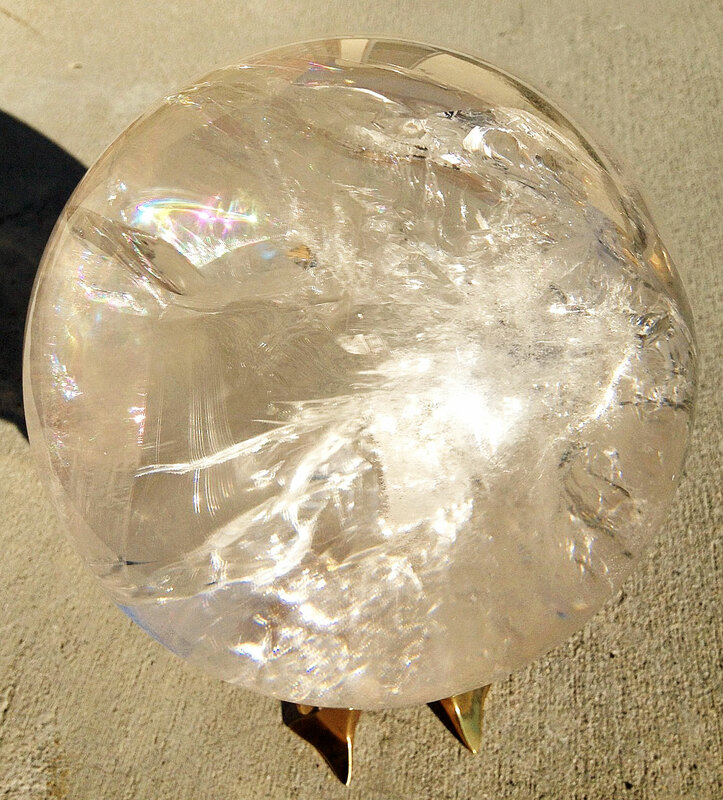 This rare and powerful Lemurian Seed Crystal Sphere is a little over 5 3/4″ in diameter (nearly 6″). A Master Activator, it embodies the Divine Masculine and Feminine in unity, has gorgeous clarity, rainbows, ethereal veils, mirror-like watery cascades, embodies two distinct realms with a portal doorway at the junction of the two, has a soaring rainbow bird, butterfly and phoenix inside, and will support powerfully transformative activations. Between now and 12 pm noon PST on 12/12/12 you can SAVE 12% on everything in our Joyful Earth Crystals Etsy shop. Simply enter “love12″ at checkout to apply the discount. After a month run, the exhibit featuring artists’ and photographers’ creations will be coming to a close. 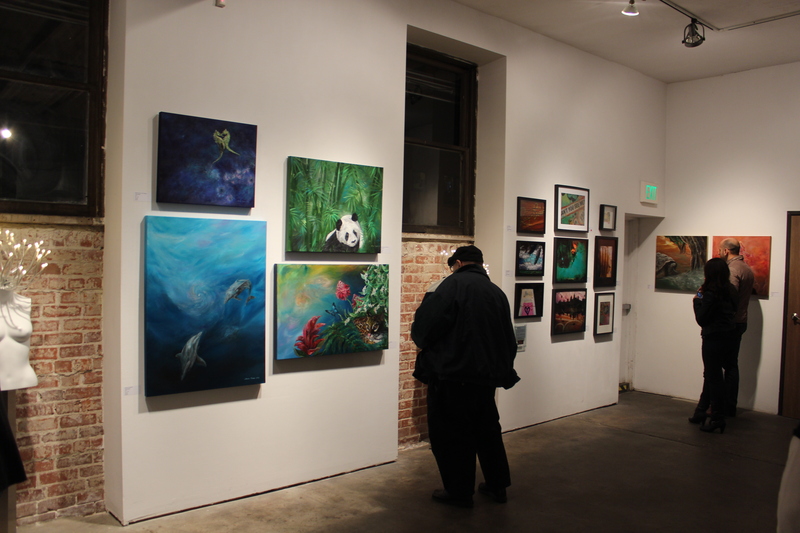 A closing reception celebration will be held on Saturday, December 8th to honor everyone’s creative work, ring in the holiday cheer, and celebrate the nearing closure to 2012! I will be present at this event and will look forward to meeting everyone in person who comes out to support the evening and enjoy some art and music. 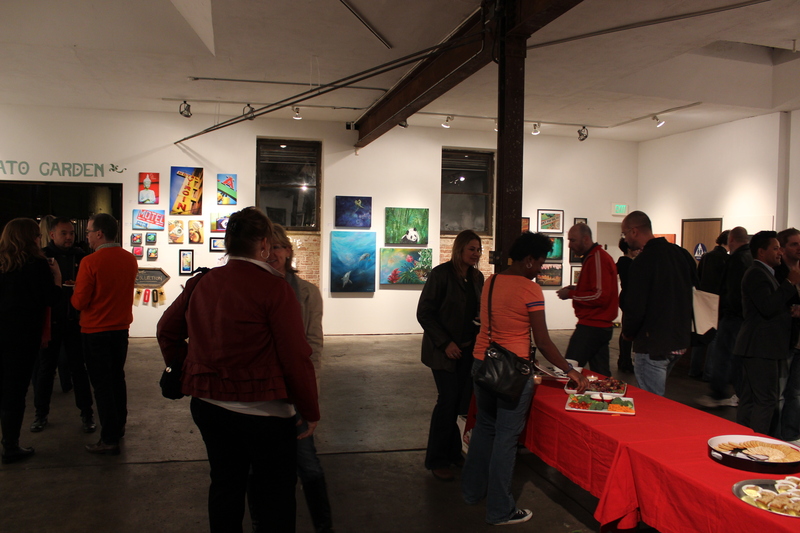 Tis’ the season to be merry and tis’ the season to be at the ending reception of: Ménage MIXED…An Evening of ART+MUSIC+ WINE!!! 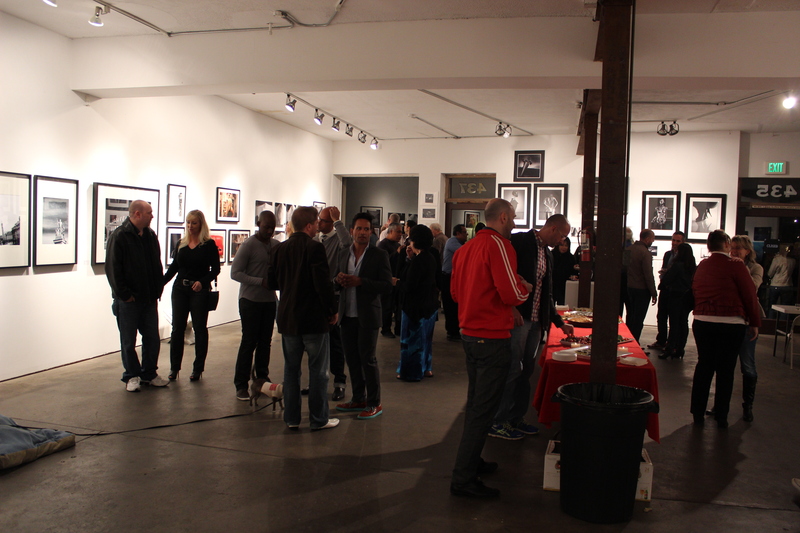 As always…amazing artists, music, food, fun & YOU! As we put closure to 2012, conscious creation and creative expression continues to take forefront in how we are actively focusing our energies. Being mindful of what you are thinking and what you desire to create is important, as well as using visualization, allowing yourself to think, imagine, express and believe big and limitlessly, and following the guidance of your heart’s passions toward birthing a new you, new experiences, and a new world. Art is a vital part of our life and the intrinsic value of creativity and art is vital to exercise and cultivate as a channel of creation itself. I look forward to seeing you at the reception. Creative love and magick to you! December’s New World Time Gateways – Where Are You Called to Be to Seed the New? We are fast approaching 2012 markers signifying continued and great opportunity for ascension and increased power of consciousness and creation. The upcoming dates of 12/12/12 and 12/21/12 represent doorways of possibility for evolutionary leaps to support all of the work, shifts, and transformations you have already been making and experiencing. It is all a choice of how and if we each, and humanity as a whole, decide to walk through these openings offered by Universal consciousness. There is potential for so much beauty and greatness to unfold, as we lovingly let go of the old ways. Part of the choice lies in how each of us decided to move through the transformation – gently or with a fight. There is a divine link between 12/12/12, which will bring forth new insights and prepare for the next gateway walk through, and 12/21/12. Exploring the numerology of these dates can provide added magickal insight and align you with the frequencies unfolding. It is interesting that the number 12 repeats so universally, as in 12 months of the year, 12 zodiac signs, 12 apostles, 12 knights of the round table, etc., etc. But we also come to see that the number 3 is prevalent in the 12’s showing up on both of these dates ~ 1 + 2 = 3 so we have 3/3/3, which then further breaks down to 3 + 3 + 3 = 9. The number 3 is that of creative power and growth, moving forward of energy, overcoming and integrating duality into something new that emerges from going beyond it, expression, manifestation and synthesis, as well as represents the sacred trinity and the third chakra – your drive and expression for and of rebirth. And the 3’s adding up to 9 takes the creation energy into a cycle of completion, which then opens the door to new cycles of possibility, creation, experiences, and developments. Each soul will find their own importance as to where they are and what they are doing on these dates and in the time surrounding them. What will be of particular significance is what you are focused on, which will be a culmination of everything that has been leading up to now for you and how you have been embracing shifts and choices in your life. Many will be deeply drawn to particular places, people and experiences, including being drawn to places of power where they can be of service energetically to the collective. This can include areas related to powerful past lives where integration of the power of your soul will be brought into the now to support this service and perhaps set the stage for this place in its future Earth role. Of course there are the planetary alignments taking place as well at this time, of which I have shared a bit on before. Someone very versed in all of the very detailed astrology and numerology could share a multitude of significant and potent energy surrounding the closure to 2012, but for sake of this post, I share general meanings and energy, as while I find the details to be telling and helpful, I also honor that the essence of feeling into what it all means for you is of deeper importance. You choose what you want to manifest and this is a beneficial and important time to be mindful of the seeds you want to plant for your new experience. What unfolds as we move through these gateway dates is not necessarily something that will be seen with the eye, but for those who are consciously creating their experiences, you will feel the shift and know what has been birthed. Do not take it for granted what you are doing right now, leading up to, and on these dates. Allow yourself to be guided where you feel is the place most aligned for you, even if that is at home in your sacred personal space, and do not take it for granted what you are focused on. Creating a sacred time to symbolize what your soul desires as the bridge to your next state of dimensional being will be fruitful. Where each is called and with whom is all significant, regardless if you can understand the fullness of why at this time. We will be assisting each other in beautiful ways by being present in our hearts. You can create what you desire and choose how to go through these gateways with greater sense of soul purpose, peace, lightness, and love. Many light workers and healers will be traveling around during December, fueled by a soul and heart calling to align in key positions both physically and psychically, as their service to humanity and our loving Earth. Many I have been in contact with have and are in the process of making their arrangements and it is really exciting to see where everyone is being called and guided to seed their inner and outer journeys. Very powerful collective support we are being called to. Our group in Bimini will be working with these energies to not only nurture the seeds you intend to create for self, but to assist in collectively supporting the beautiful energies linked to the 12/21/12 birthing Winter Solstice of the New Earth. This Harmonic Convergence of planets is a time of journeying through a new world time gate and being in Bimini’s powerful energies of the Atlantean vortex simultaneously, will prove to be amazing. I am here to discuss any questions or needs you have. You can contact me at tania@taniamarie.com with inquiries. I am very much looking forward to seeing everyone there in just 20 days! As promised, today I am sharing two powerful crystalline friends that you can bring into heart and home with the special 12% off sale – good until 12/12/12. The prices below reflect their regular price and I will apply the 12% discount (amount of this can be found alongside the regular prices shared) when you purchase. These two crystals are not featured in the shop. If you are interested in either of them, simply contact me at tania@taniamarie.com. Each crystal chooses you as much as you choose them and I honor their requests of where they feel most called to be of service. In yesterday’s post I shared how we are energetically preparing for the gateway energies of 12/12/12 and 12/21/12 in order to harness our power to create a new world experience, and how our crystalline friends are equally working in support of these creations of consciousness to assist those courageous leaps through the gateways. Crystals are driven by purity of heart in service to the collective highest good and can make a powerful difference in your life when you actively work in partnership with them. Check out all of the new pieces at the link above, which we are continuing to add to daily, including new pendants, earrings, necklaces, mala bracelets, and more! 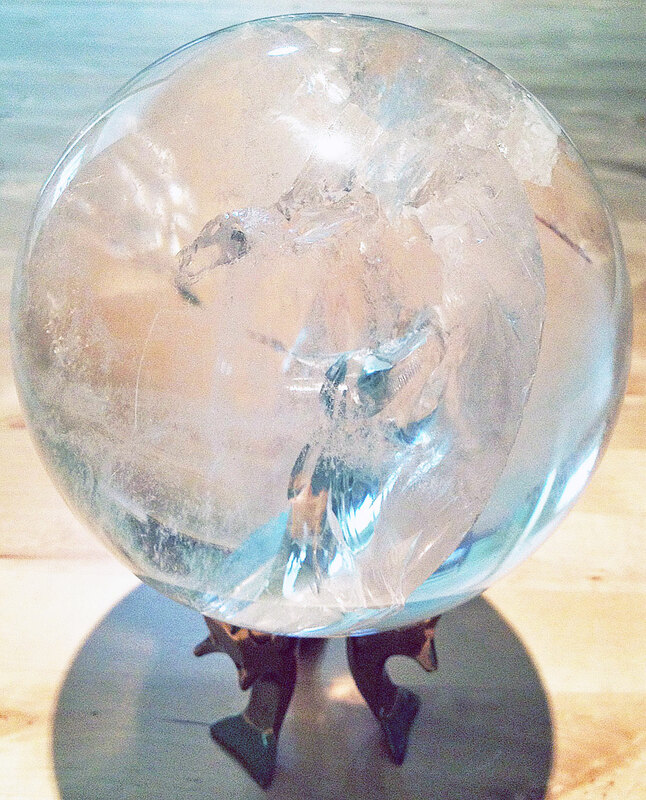 Lots of great, meaningful, and affordable, unique gifts for the holidays, especially for that crystal lover, or someone who likes the extraordinary. I will blog on and feature more of these in the coming days, as we add to the collection, but be sure to check out what’s available now. * 1’s and 4’s, such as 114 or 144 number sequence meaning – The angels are emphasizing strongly that you watch your thoughts right now. They counsel you to make a wish, as you are in a gateway that will manifest your thoughts right at this moment. 1’s are all about instant manifestation and making sure what you are thinking is only what you desire to manifest. 4’s reassure you that the angels are all around you sharing their love and there to help. When coupled together it is a gift of support towards creating your intents. It was extremely challenging, and impossible at times, to capture all of what can be seen and found within the inner realms of this crystal. These photos (click on each to enlarge for details) do not do any justice to this both aesthetically and energetically gorgeous being, so I will try to convey as much as possible in words what can be experienced from it. 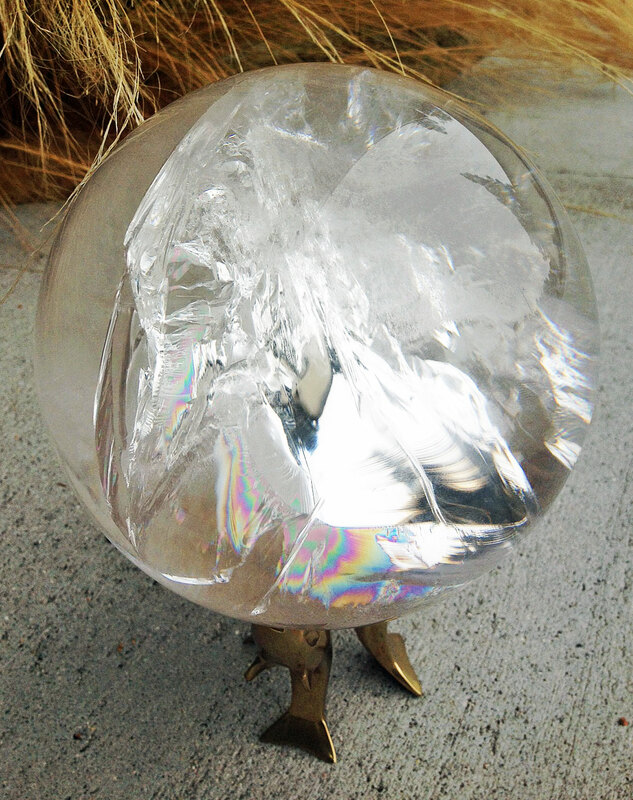 This rare and powerful Lemurian Seed Crystal Sphere is a little over 5 3/4″ in diameter (nearly 6″) and embodies the Divine Masculine and Divine Feminine energy in union. It is a Master Activator with gorgeous clarity and rainbows I could only catch a few of on camera. 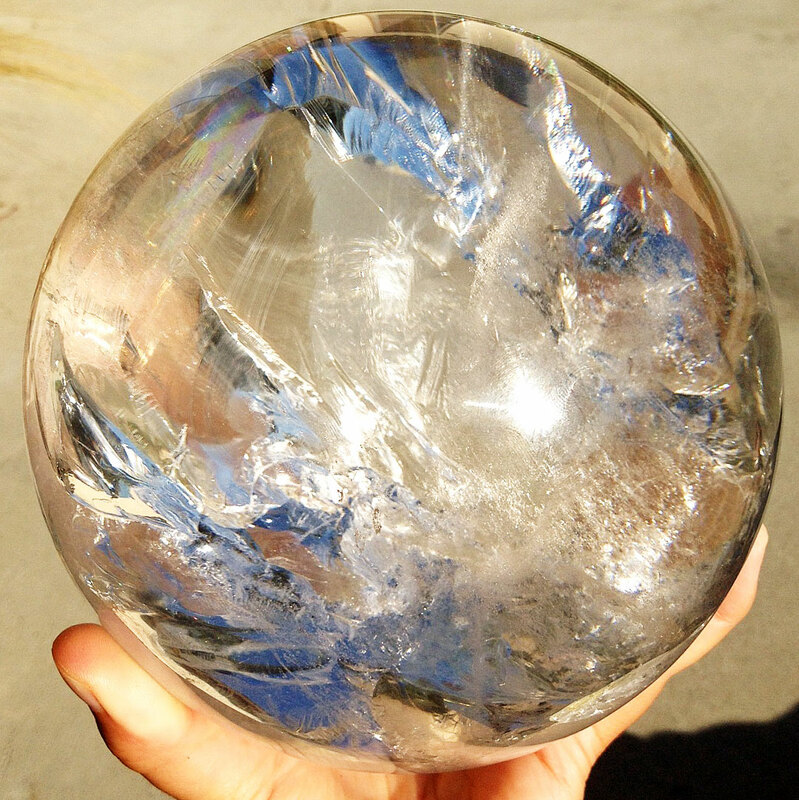 The sphere shape utilizes the complete and whole energy of the crystal. It is one of the crystals that comes from my own personal collection that is supremely powerful in assisting those on a path of enlightenment. If you are drawn to it, you are ready for some amazing activations, just as I have received and experienced in my time with it. Now and then some of my most cherished powerhouse crystal friends express to me that our time together has come to completion and that they are ready to be of service elsewhere. I honor them on their journey and assist them in finding new keepers when they are ready. In honor of service, when ever a crystal friend is ready to move on, I also respect the prices they share to place them at, which always reflect prices less than cost.I have enjoyed working with this beautiful friend and received much from its support in my life. The impending journeys to the crystals’ new homes are always bittersweet, but I embrace my role as a bridge and lovingly bless them and their new friends for the experiences that await them. While potent, this crystal also carries such a soothing, graceful and watery energy. It is has beautiful ethereal veils, as well as watery, mirror-like cascades of energy and beautiful clarity. When viewing it you have the sense of two distinct realms and dimensions that are separated but connected by these cascades and veils. There is even a portal doorway at one end of this crystal that enters at the junction of these two realms. Simply amazing! 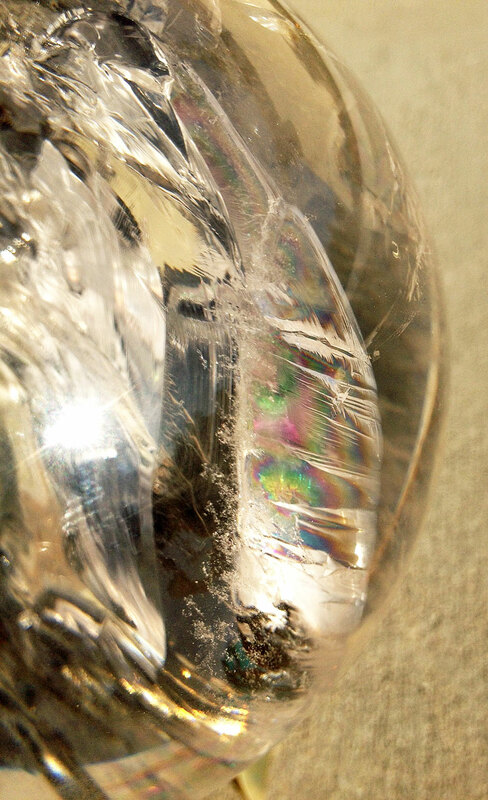 So many energies and formations can be found inside this crystal, including a rainbow butterfly, perched phoenix, and what appears to be a soaring bird with rainbow wings. Each having their own powerful and transformation symbolism. This crystal is just loaded with spectacular natural beauty – like another world filled with beings within a being. The soaring bird with rainbow wings, for me, is symbolic of the Goddess Iris, after which I named my beloved snow white parakeet with aqua feathers at her cheeks and under her wings that came into my life while living in Sedona. Right as I was bringing her home, a gorgeous rainbow filled the sky and I knew she had come as a heavenly messenger of love and joy to me. I named her after the Greek Goddess Iris because of this sign received. The Greek goddess Iris, goddess of the rainbow, was a messenger on Mount Olympus that would take messages from the eye of Heaven to Earth by the arc of the rainbow. The word iris also means eye of heaven. It was the name given to the goddess, the flower, and the center of your eye. This means that each of us carries a piece of heaven with us and to me, this crystal carries the same energy and helps us communicate with the other worlds, as well as brings angelic rainbow essence into our lives to help our transitions be joyous. I could go on and on about this crystal, but I will let it speak for itself in the photos. About Lemurian Seed Crystals: Lemurian Seed Crystals are crystals that are reputed to have been seeded by the Lemurians – an advanced and peaceful, ancient civilization based on the consciousness of love and connection – to teach and guide us in this time. Lemurian Seed Crystals have been programmed to hold and transmit messages of unconditional love, conscious connection, and equality, while they assist us in remembering who we really are. They are very supportive, positive, and life affirming, as they enhance and encourage inner development and connectedness. They are also great for dream work and dream interpretation. Lemurian Seed Crystals have a very Yin or feminine energy, and for all their power are more gentle-feeling energetically than Yang/masculine crystals. They are very powerful tools for meditation, healing on all levels, and are excellent for clearing and balancing all chakras. There are vast universes inside each Lemurian Seed Crystal that is home to many beings of light and unique spiritual information and wisdom, as they are connected to inner earth, the earth’s surface, and the stars. Lemurian Seed Crystals were planted in different areas of Brazil, millions of years ago, for the purpose of guiding a future generation toward healing enlightenment known of in ancient days. During the last days of Lemuria, it was decided to plant, or seed, crystals programmed to transmit a message of oneness. The Lemurian Culture’s center of consciousness was the emotional and spiritual dimensions of existence, unlike our modern world’s mentally based focus. They had a deep connection to the heart, which allowed the expression of unconditional love for the Divine and each other. Lemurian Seed Crystals also help us to maintain our connection with our spiritual source and teach us how to be both individuals and integral parts of the cosmic design. This is mirrored by each seed crystal’s energetic connection to all other seed crystals, while on the individual level, simultaneously doing its own work to pass forth their knowledge and programming for the earth, in preparation for the transitions and shifting changes in consciousness. There comes a responsibility, to honor and work with, when you and your Lemurian choose one another. $222 plus shipping – comes with 3 frog brass stand (12% discount of $26.64 will be applied at time of purchase) * 222 number sequence meaning – Our newly planted ideas are beginning to grow into reality. Keep watering and nurturing them, and soon they will push through the soil so you can see evidence of your manifestation. In other words, don’t quit five minutes before the miracle. Your manifestation is soon going to be evident to you, so keep up the good work! Keep holding positive thoughts, keep affirming, and continue visualizing. This crystal is really magnificent. He is approximately 5 1/4″ in diameter, but a little wider at the top protruding point of his majestic peaks making him about 5 1/2″ inches at the widest point. His beautiful purple coloring descends in layers of gorgeous crystalline violet hues when viewed from the side. He reminds me of a prehistoric egg, with ancient hatchling crystal energy emerging into the light from its core. This crystal is a beauty with unique attributes and inclusions you’ll be immersed in discovering, as you activate spiritual awakening from the depths of your soul. Amethyst Properties: extremely powerful and protective, high spiritual vibration, enhances serene and higher states of consciousness and meditation, calms and stimulates the mind, improves concentration, emotional centering and contentment, one of the most spiritual stones, promotes divine love, selflessness, spiritual wisdom, opens and strengthens intuition and enhances psychic gifts, works with crown chakra opening, promotes peace and inspiration, represents principles of complete metamorphosis, soothes, relaxes, heals, promotes healthy sleep habits and channeling, because of its transmutational energies it helps open gateways into intense and transforming spiritual experiences while protecting the wearer from black magic, breaks up old emotional thought processes, attracts justice, protects and wards off danger and violent death, increases the activity in the right brain, cuts through illusion, as well as raises thoughts and aspirations to a higher spiritual level. 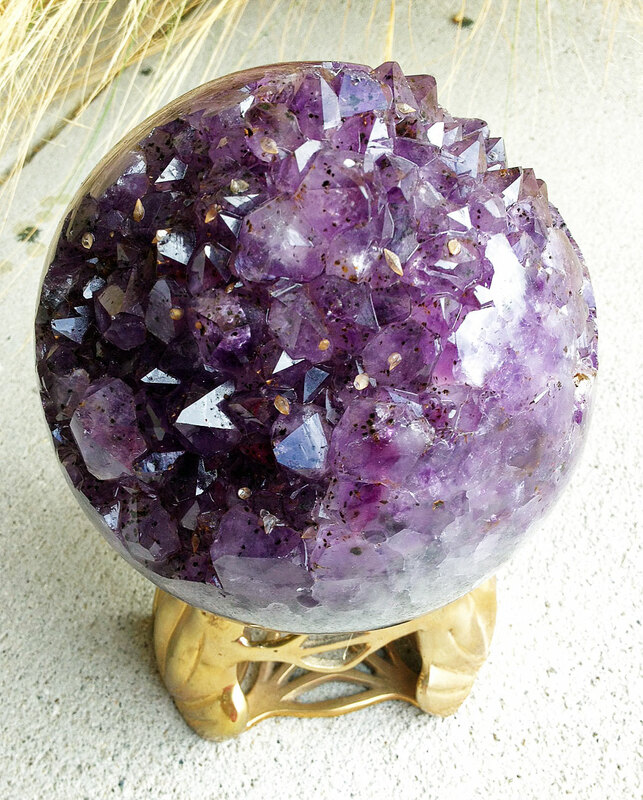 Amethyst brings clarity to the conscious and unconscious mind. Crystal Love and Magick to you! You can contact me at tania@taniamarie.com if you are interested in any of these crystal beings, as well as to commission procurement of a special crystal, intuitively chosen for you. Many are preparing energetically for the upcoming December dates of 12/12/12 and 12/21/12. These dates represent doorways of possibility for an evolutionary leap – Gateways! They are opening alignments that provide opportunity to explore your/our power to create a new world. Our crystalline friends are equally working in support of these creations of consciousness and are here to assist those courageous leaps through the gateways. Many of you may be experiencing symptoms of this Ascension process and if so, you may find as I have, how helpful the right crystal friend/s can be in assistance to you. After all, they are driven by purity of heart in service to the collective highest good. 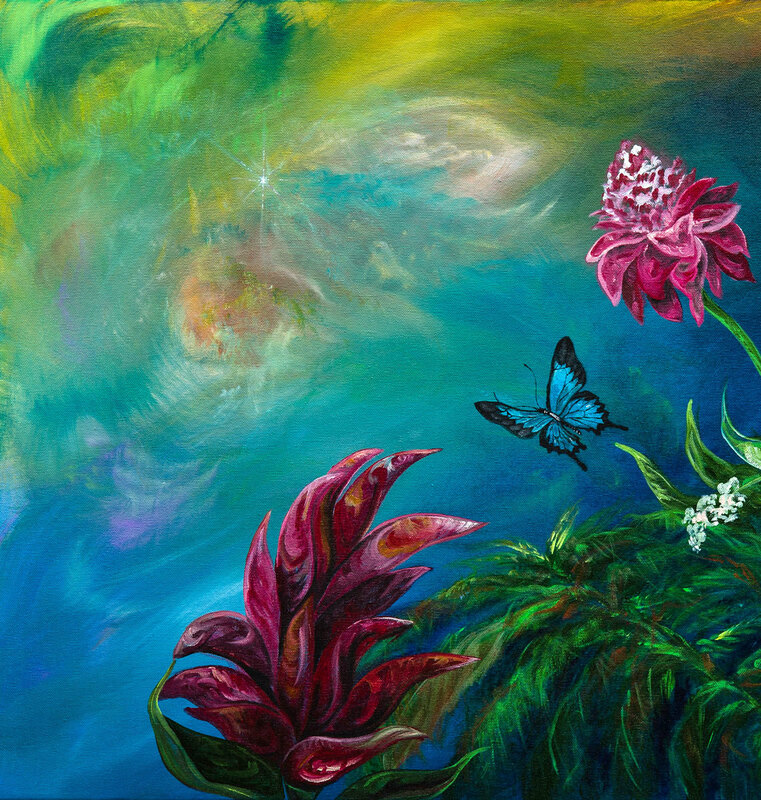 In support of these energies and shifts, Joyful Earth Crystals is sharing a special to honor each courageous soul and to assist the Earth in its process of transformation. 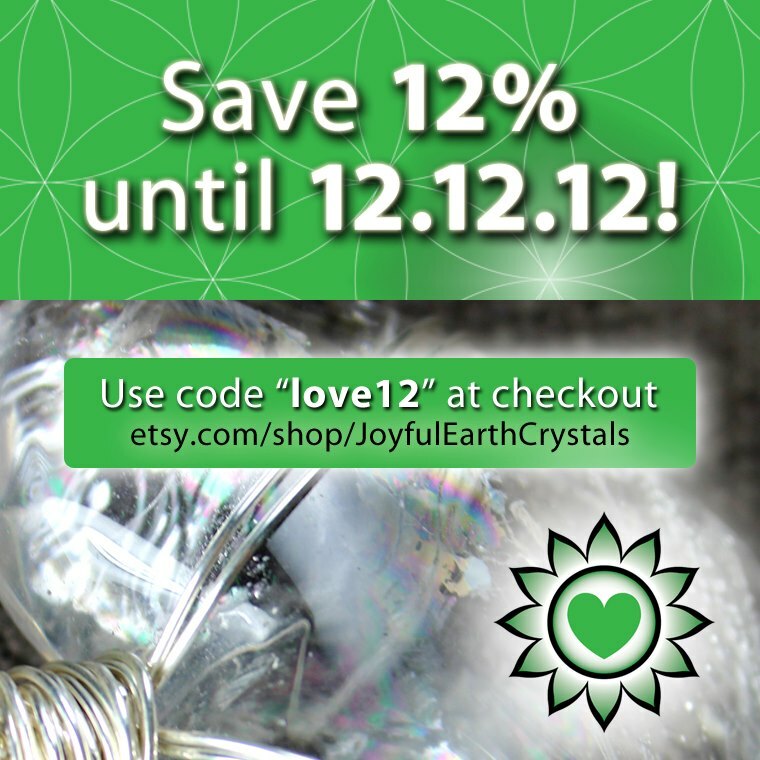 Between now and 12 pm noon PST on 12/12/12 you can SAVE 12% on everything in our Joyful Earth Crystals Etsy shop. Simply enter “love12” at checkout to apply the discount. All holiday orders must be received by noon PST on 12/12/12 in order to ship for the holidays, as our shop will be closed for the rest of December while we are in Bimini for 12/21/12 and Allison is visiting family for the holidays. More crystal beauties will be added to the collection in the coming weeks before 12/12/12 so keep an eye out for my posts and check back regularly at the shop link above. Tomorrow I will be posting a new individual crystal beauty friend that is spectacular, to say the least, and I assure you will support major leaps in consciousness and experience for the right person. I’m pleased to share that all of the individual crystals have moved on to new, loving friends (including the gorgeous Angel Quartz and the amazing Giant Smokey Quartz so many felt drawn to and received healing from just by viewing them). 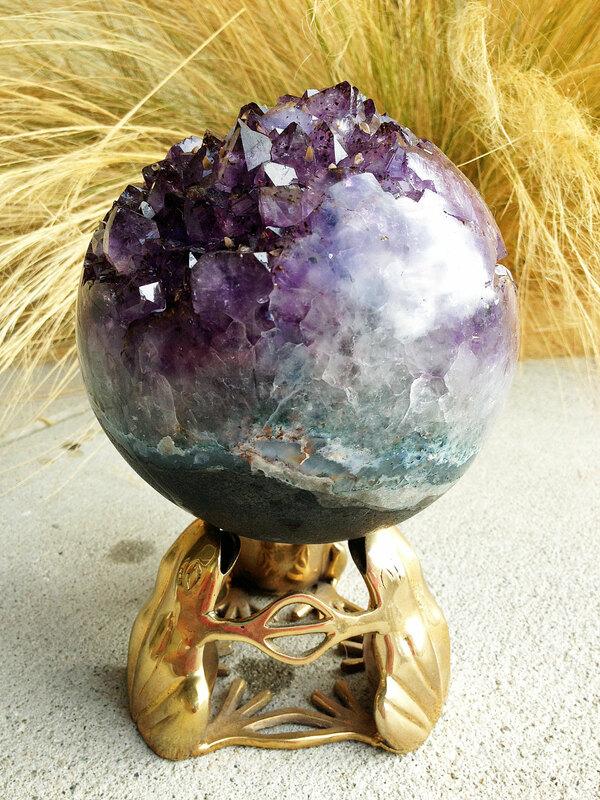 Only the Regal Amethyst Geode Sphere still searches for its new and rightful, loving home, despite interests, which I will repost tomorrow with its powerful buddy. Divine timing always brings these beauties into alignment with their keepers. They are both amazing and potent spheres, so it seems fit they wanted to be shared together. For now, I hope you enjoy the holiday sale of lovely crystal pendants, necklaces, and bracelets in the shop. 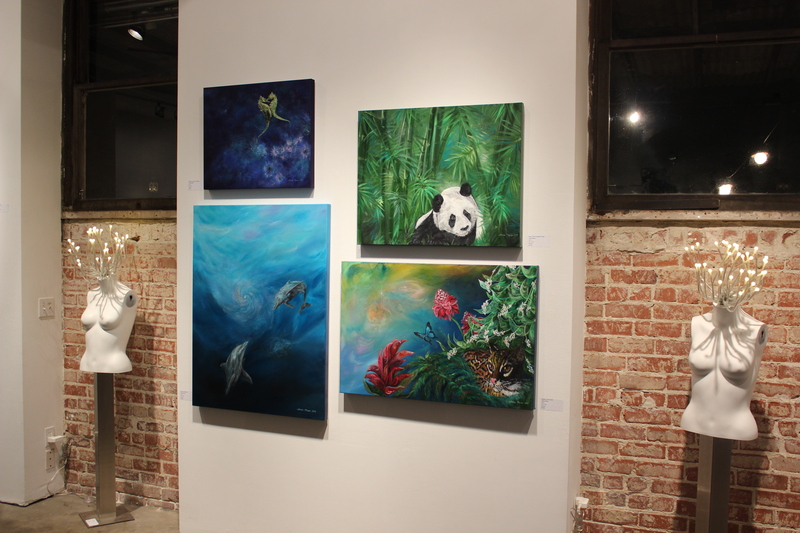 There are a few new pieces already featured and as shared, more to come! 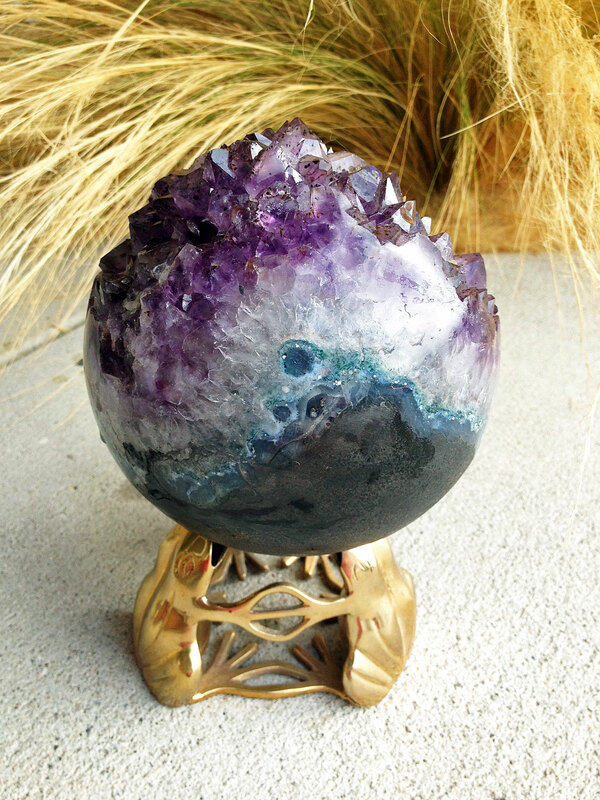 If you have any questions, or to purchase the Amethyst Geode Sphere, you can contact me at tania@taniamarie.com. Until tomorrow, crystal dreams and sparkly magick to you!